My favorite purveyors of theatrical fever-dreams are at it again and I’m so happy to be working with title:point productions on their latest piece of inspired lunacy. Those have you that have seen their work before already know that there is no point in telling you what its about. But you also know that their shows are not to be missed. For the rest of you, come venture into the theatrical underground with us. 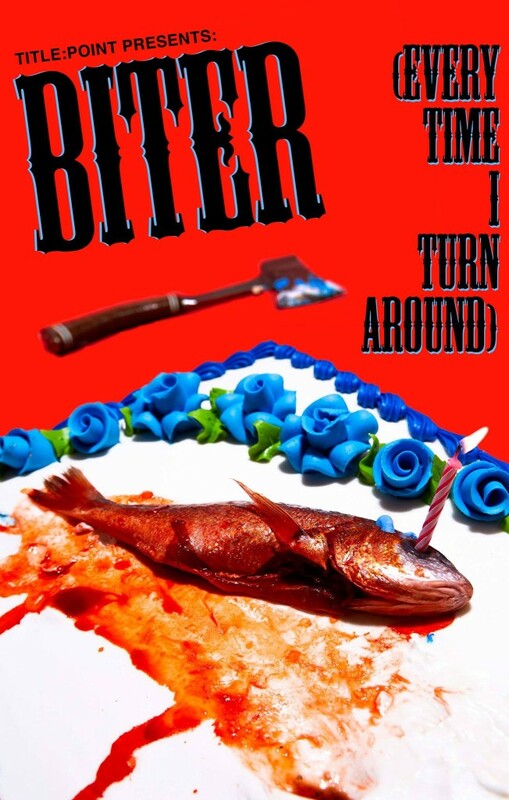 Biter (Everytime I Turn Around) is performing April 25 – May 16 @ The Silent Barn in Bushwick. Tickets and specific showtimes are available at bitereverytimeiturnaround.brownpapertickets.com and on the Facebook Page.